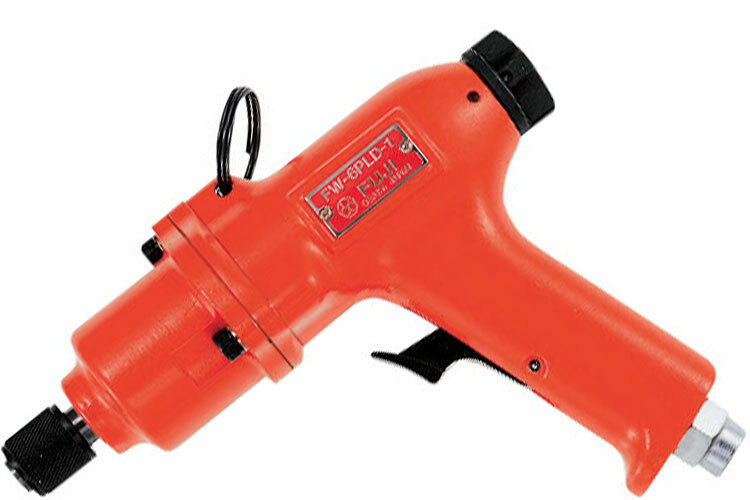 Fuji Impact Clutch Type Pistol Model Screwdriver are suitable for a wide range of screw fastening and disassembly applications. The compact and lightweight design provides operator comfort. All models are reversible via a reverse lever or push button. Impact clutch type models are all of double clutch design and their high torque and fast run-down minimize operator fatigue. The 5412053622 Fuji FW-6PLD-1 NPT Impact Clutch Type Pistol Model Screwdriver is one of thousands of quality tooling products available from MRO Tools. Please browse Fuji Impact Clutch Type Pistol Model Screwdrivers for tools similar to the 5412053622 Fuji FW-6PLD-1 NPT Impact Clutch Type Pistol Model Screwdriver. 5412053622 Fuji FW-6PLD-1 NPT Impact Clutch Type Pistol Model Screwdriver description summary: Model: FW-6PLD-1 N Bolt Size: M6 Driver Bit Size: Short Recommended Torque Range: 10 - 18(N.m)/ 7.4 - 13(ft.lb) Free Speed: 10,000min-¹ Bit Shank Size (Hex): 1/4'' Socket Retainer: Bit Shank (Hex) Overall Length: 7.17'' Weight: 0.9kg/ 1.98lb Quantity discounts may be available for the 5412053622 Fuji FW-6PLD-1 NPT Impact Clutch Type Pistol Model Screwdriver. Please contact MRO Tools for details.